Her sailing performance is said to be remarkable considering her robust construction and with a decent sized engine. I really like this boat - she looks good and seems really well put together. She appears clean, dry and smells sweet. Her cockpit and interior offer a really surprising amount of space and facilities and I think would be a great place to spend weekends, or longer periods, whether staying on board for the weekend, or undertaking a longer cruise. 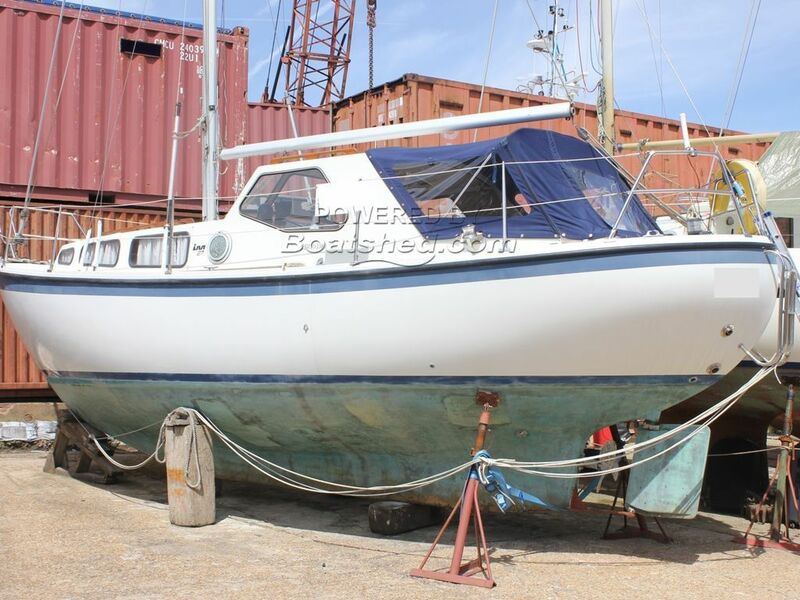 Her exterior is bright and looks good - she'd benefit from anti fouling and an engine service. Overall, we think this is a great package, well worth a look to see what can be done with a boat of this size. This LM 27 has been personally photographed and viewed by Tim Kingston of Boatshed Brighton. Click here for contact details.